Question: What is Video Tiling? Think of Video Tiling as picture in picture. 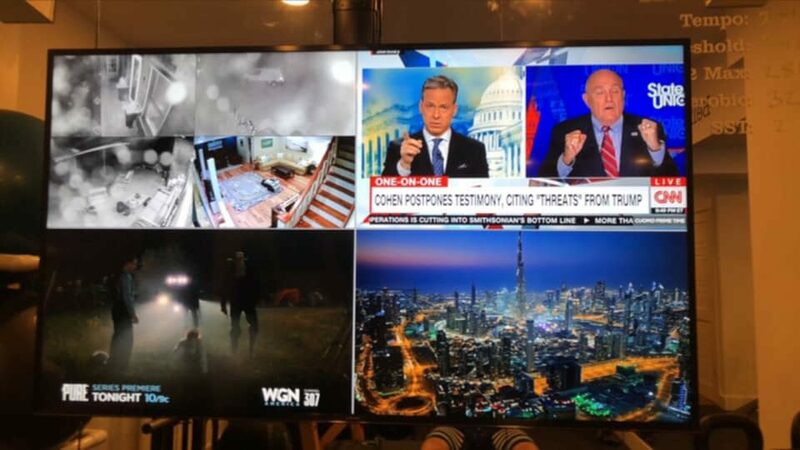 Video Tiling allows for multiple sources to be viewed at the same time, regardless of TV size. For example, I like to view my security cameras in the top left of my TV while watching a game I recorded over the weekend. “Savant has a superior picture, the setup of the system is now faster than Just Add Power configuration software and has nine times the band-with. It’s uncompressed for everything 4K 4:2:0 and below and only has a 1:4:1 after versus way more endpoints without processing are about 15% more than Just Add Power with Tiling and processing are double the speeds. You can mix and match both types. 1GB managed switch are about $40 per port where a 10GB switch is $100 per port. The question is do you want to spend the money now or again in 18 months to three years. Tiling and the AVB product integration is awesome!” Matt, Savant Programmer. There’s nothing easier on the market. For those using the Pro8 app, it’s just as simple as pressing a button to view the source and another press to listen to any source.